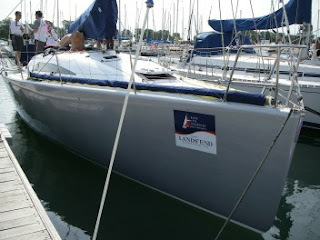 July 2007, I flew to Chicago to sail aboard the Farr 42 “Sue” belonging to Jim Moller. 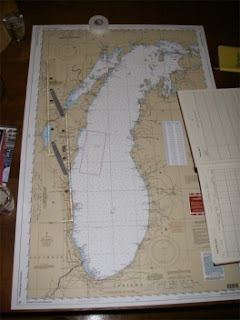 The Chicago-Mackinac race is advertised as the longest freshwater race in the world;effectively sailing the length of Lake Michigan. Designed as an IRC boat, being sailed in a race conducted as an ORR race, we sailed well, finishing 15th boat for boat, but garnered no silver, on corrected time. “Wonder Woman” was a much more amusing photo than one of me trimming the spinnaker. 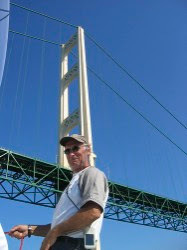 the following links will introduce who I am and what I am doing now.